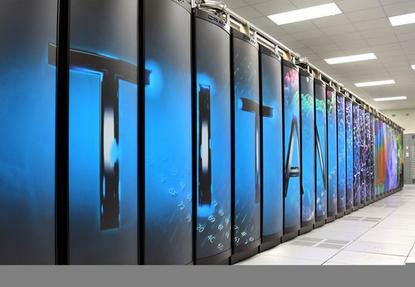 With China currently sitting at the top of the supercomputing heap -- its Tianhe-2 computer has been considered the world's most powerful for the last two years -- U.S. President Barack Obama is looking to step up American efforts via the new National Strategic Computing Initiative. Set up by an executive order signed Wednesday, NSCI will coordinate government agencies, academia and the private sector with the objective of delivering a system with about 100 times the performance of current 10 petaflop systems. Investigators have linked the hackers who stole tons of data from the U.S. Office of Personnel Management and health insurer Anthem with a breach of United Airlines, Bloomberg reports. That hack happened a few months ago, and suggests that the group, suspected to be in China, got hold of flight manifest information. Bloomberg talked to security experts who say that with the files stolen from OPM, China's spy agencies can identify U.S. government workers in defense and intelligence, and with the United data, they can potentially track those individuals' travel. Oracle is looking to expand the market for its Sparc-based servers with a new, low-cost processor dubbed Sonoma. The company isn't saying yet when the chip will be available, but if it delivers as advertised it could become a new rival for Intel's Xeon chips and make Oracle's servers more price-competitive with those from Hewlett-Packard and IBM. The U.S. Navy has been testing the use of 3D printers on its ships to produce custom drones outfitted for specialized missions. Researchers at the Naval Postgraduate School showed off a drone that was printed on board the USS Essex last December, after a 3D design file was emailed to the ship over a satellite link, and sailors loaded it into the printer. Ships could set sail with kits of the core electronics parts, since they are common to most drones, but have the bodies designed according to specific requirements for each mission. Attention hobbyist drone flyers: Google has had enough of the chaos and wants some rules put in place for the under-500-feet airspace so it can get on with its money-making plans. It's put forward a proposal for private "Airspace Service Providers" to run the show. These ASPs would receive data from all craft in flight, including hobbyist drones, emergency helicopters and commercial craft like those being developed by Google Wing. All craft would also have to transmit a flight plan for approval. Security experts have shown how easy it is to bypass many RFID card access systems, and at next month's Def Con Hacking Conference in Las Vegas, one security researcher who has turned his focus to supposedly more secure systems will demonstrate how those can be breached. Francis Brown, a partner at the computer security firm Bishop Fox, will talk about ways to tamper with the readers themselves, getting around some of the newer cryptographic and authentication defenses that have been put in place for high- and ultra-high-frequency NFC systems. Facebook has posted strong sales results for the second quarter, with total revenue up about 39 percent to $4.04 billion, although net income fell 10 percent to $719 million as costs ballooned. Yahoo has got a new mobile messaging app that combines texting with live one-on-one video, but there's a twist: Livetext has no audio. Text and emojis are overlaid on the screen, which sounds restricting, but Yahoo contends that the lack of audio removes inhibitions you might feel when making video calls in public. It's now available as a free download for iOS and Android, in the U.S., U.K, Canada, Ireland, Germany, France, Hong Kong and Taiwan. These five innovative, useful features sell Windows 10 all by themselves, says PC World. Can the quality of your character be judged by a software algorithm?